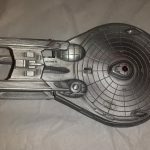 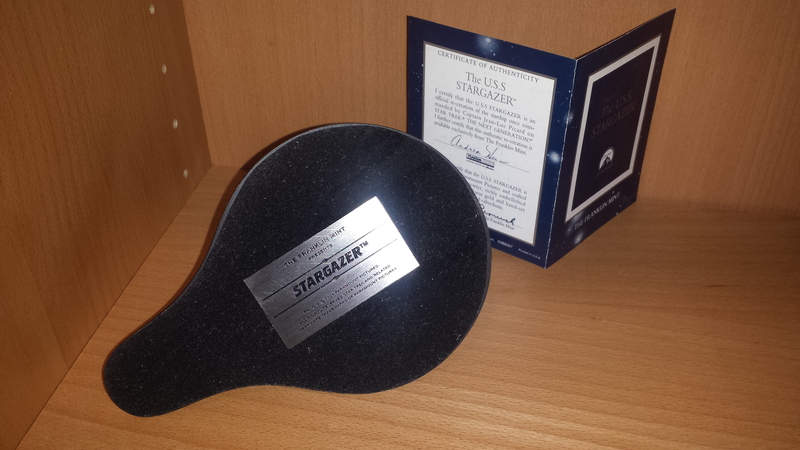 Star Trek Starship Stargazer with original stand and certificate authenticity booklet with some history. 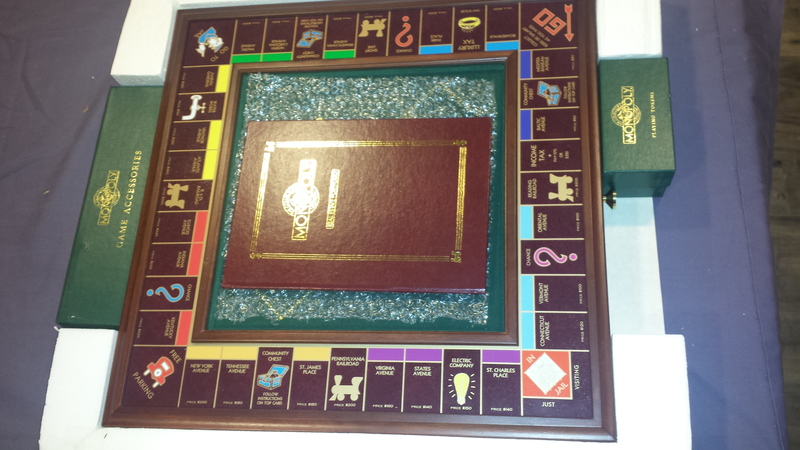 Nothing else is included. 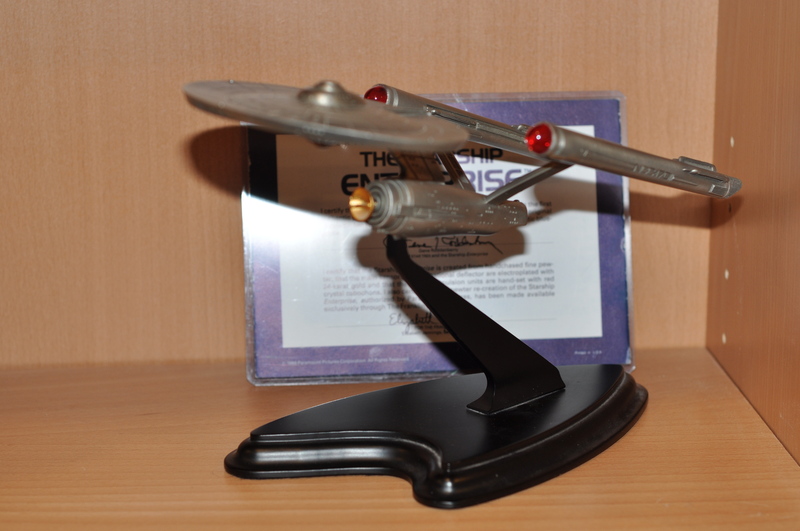 I have other FM Star Trek ships. 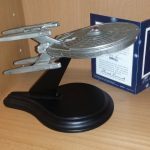 As well as other FM Star Trek collectables, including Chess Sets. 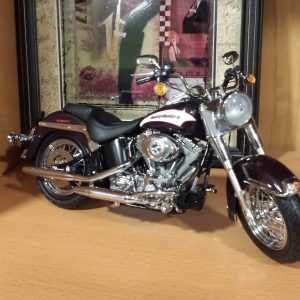 Please check my posting. 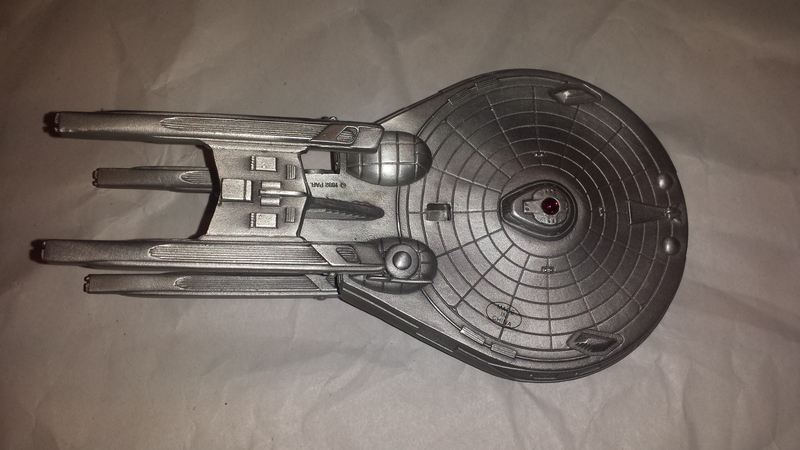 I will combine shipping. 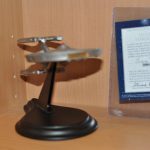 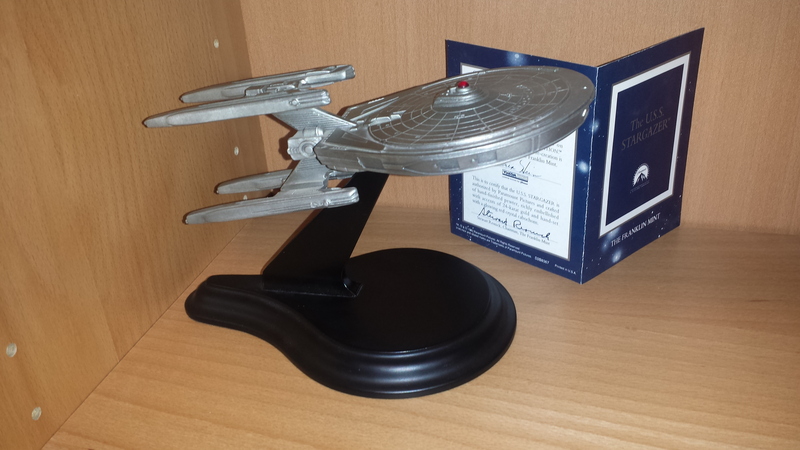 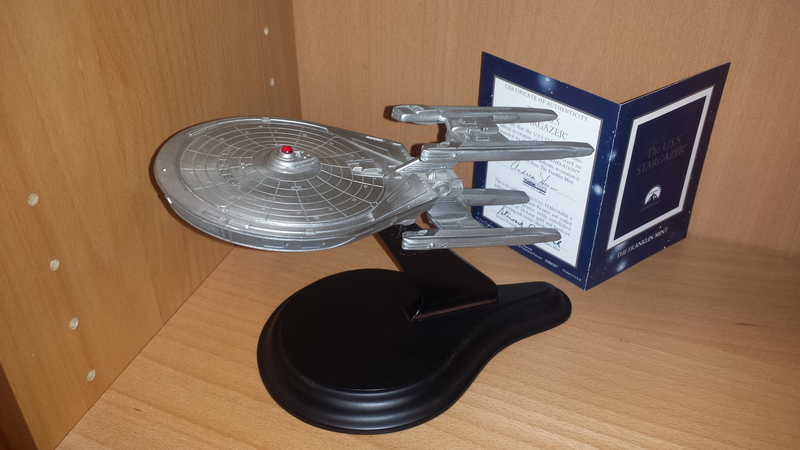 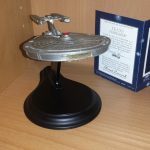 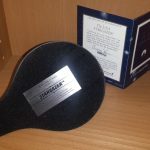 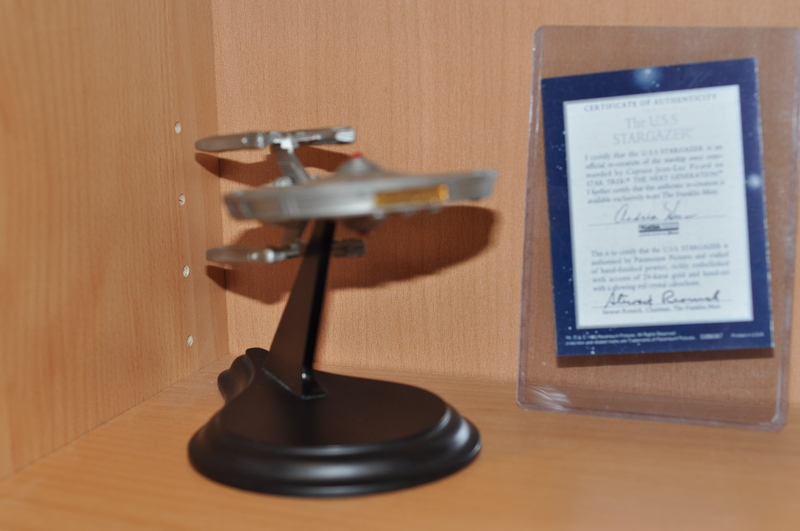 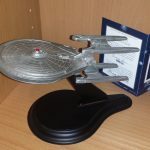 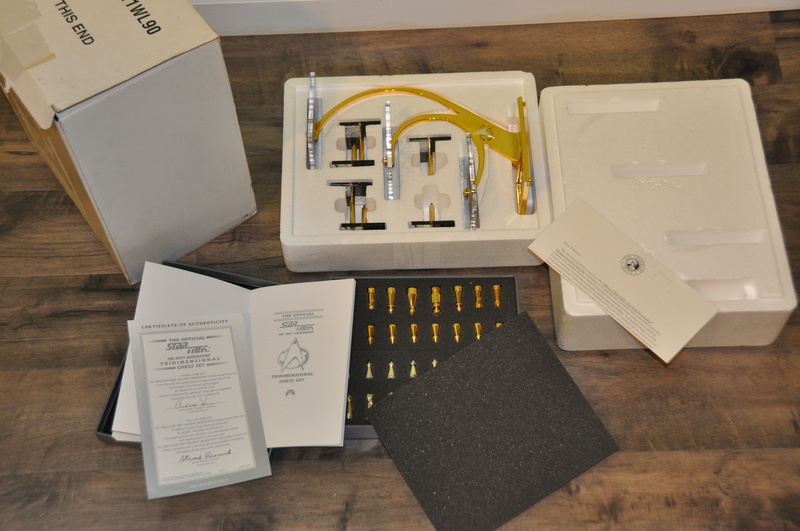 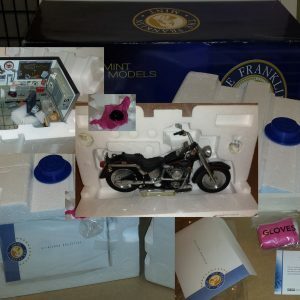 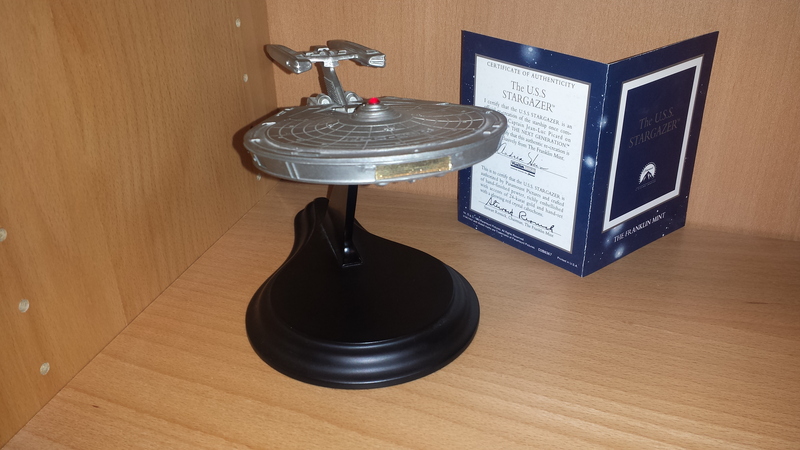 Star Trek Starship Stargazer with stand and certificate authenticity booklet with some history.